Nell: I identified myself, I showed him my badge, he chose to ignore me. 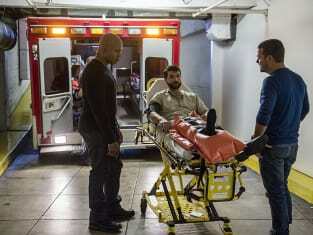 Callen: A little piece of advice for you: Never ignore the Nellverine. NCIS: Los Angeles Season 8 Episode 3: "The Queen's Gambit"
In fact, if it were up to me, your trial would look like something straight out of Salem, the only difference being those poor women were innocent. Permalink: I want your trial to be something like Salem. Only those women with innocent. Callen: Hetty's always got a plan. Granger: Well, she'd better have a good one this time. Permalink: Well, she'd better have a good one this time.